Clean & chop broccoli, bell peppers, carrots, & onion. In a large bowl, gently toss together chopped vegetables, raisins, currants, nuts & seeds. In a small separate bowl, whisk together mayonnaise, honey, and vinegar until creamy smooth. Pour over the salad ingredients in large bowl. With a large rubber spatula, mix the salad gently until all the ingredients are thoroughly coated in dressing. 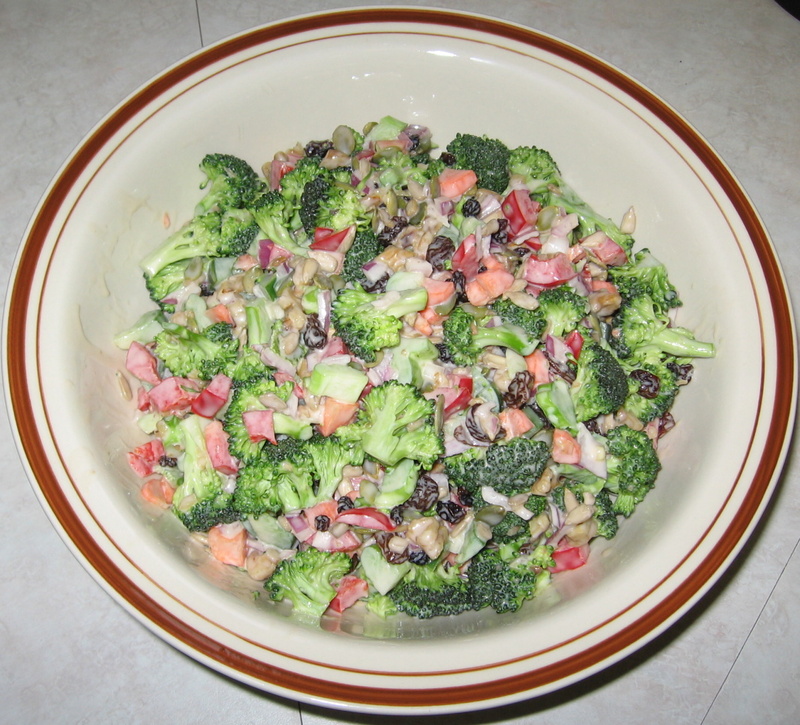 This colorful salad is always a favorite at large barbeque get-togethers. Believe it or not, despite the broccoli, even the children really seem to enjoy it. They still tend to pick out the onions though.